Ladbrokes is a gambling company with a lot of history that can be traced back to 1886. This UK based bookmaker has now expanded into Ireland, Belgium, and Spain as well as online. While the company still has a major focus on their shops they have also set up an office in Gibraltar, where their online operation is licensed and regulated. Like many bookmakers with an online presence, Ladbrokes have moved into online poker and casino gaming through the help of their software provider Playtech. The Playtech casino platform gives Ladbroke players a choice of over 400 games. These are all accessible through the downloadable client and the site features a large number of games on their Instant Play casino, accessible through the browser on any computer. There is also a mobile casino available for Android or iOS users with limited games. Once you have signed up and as a customer of Ladbrokes you are not limited to just the casino. You can use your balance to play on their poker site or place bets in the sportsbook. While the site makes this easy to do, before transferring you balances across ensure you check to see if can claim any bonuses for the other sections of their site. Ladbrokes hosts both European and American Roulette games. The table designs for both are clear and well laid out. One feature highlighting the winning numbers in multi-coverage bets makes it really easy to place your bets and see what numbers you have. While these games work great there are also Premium versions which contain better graphics and additional features. As the tables are identical for both the American and European wheels, it should be an easy choice of the European wheel – which has a lower house-edge. Among the other varieties available you can find French Roulette, which looks similar apart from the smaller wheel and offers a few different bets. There is also a 3D wheel which looks great with a highly detailed European wheel in the foreground of the screen. For those who enjoy a shot at a jackpot, the Marvel Roulette game offers a progressive jackpot which grows across the entire Playtech network. Finally, Ladbrokes also includes a Live Dealer Casino where you can wager with other players and have all the action run by a live croupier via a live stream. The minimum bets are higher than the other Roulette tables although the experience is a close as you can get to a real-life casino. Ladbrokes contains a vast number of Slot games with many variations. Games like Spartacus and Rapunzel’s Tower give players the cutting edge slots experience with 5 reels, multiple win lines, and many entertaining features. Many of the Video Slots games are now as much of an arcade game as they are a slot machine. You can find a large number of titles linked in with the jackpot which grows over the entire network. 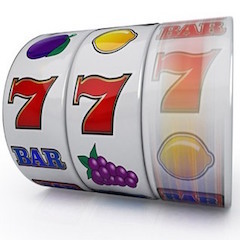 For Slots fans, this means the jackpot easily can grow into millions. Away from the modern slot games, you can find the traditional set of casino table games including Blackjack, Craps, and Baccarat. You can even discover some unusual games like Texas Choose’em, where you have to wager on the highest scoring poker hand and Snap Jax which is a Blackjack based wagering game. There are a variety of Scratch Cards, Keno, and numbers games at Ladbrokes – or if you wish you can visit their dedicated Bingo site. The casino also contains entertaining alternatives to normal casino games like Backgammon. Ladbrokes accepts all the major deposit methods including Visa and MasterCard. If you wish to deposit using a Debit card instead of a Credit Card several options such as Visa Debit or Switch can be used. PayPal, Skrill and NETeller are useful methods for those used to keeping and moving money online or for larger sums you may want to consider the Western Union. Generally, withdrawals are done via the same method that the deposit was made in. They may be exceptions to this, MasterCard, for example, does not always allow withdrawals, or your account balance may be too large to credit back. In which case Ladbrokes support team will be happy to assist you to find a method which works for you. Ladbrokes offers all new players a Welcome Bonus of 100% up to £500 on first deposits. The play-through requirement is a very reasonable 20x the bonus in order to release although you only have 30 days to clear it once you have deposited. While you can play certain Roulette games in order to release the bonus many are restricted, so be sure to check the terms and conditions. For the remaining roulette games how much you contribute towards the bonus depends on which bets you place. Low-risk bets covering 60% or more of the table are not eligible, medium risk bets covering between 10% and 60% can account for 20% of your wagering requirements and high-risk bets of less than 10% coverage can add up to 50% of your clearance. Once this is cleared Ladbrokes offers players daily bonuses and rewards via the Comps scheme. This works by awarding 1 Comps point per £10 wagered which can later be redeemed for cash at a rate of £1 per 100 points. If you want to play on a reliable and trusted site then Ladbrokes makes a great choice. With many roulette games on offer and plenty of action available elsewhere this casino is bound to keep you entertained. 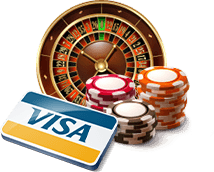 There is a wide choice of deposit and withdrawal options to suit everyone and the Welcome bonus can even be partially cleared by playing roulette, although ensure you check the terms and conditions. 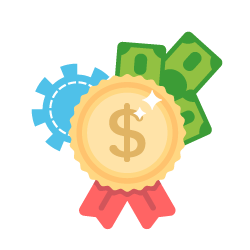 The casino offers many bonuses and promotions for existing players, so make sure you keep checking for new signup bonuses.